Anish Batlaw is an Operating Partner at General Atlantic and leads the firm’s human capital effort as part of the firm’s Operations Group. Anish and his team help the firm’s portfolio companies develop best-in-class management teams and provide support on organization design, leadership and employee development, and executive recruiting. Before joining General Atlantic in 2015, Anish worked at TPG Capital as an Operating Partner and Head of Human Capital for Asia. 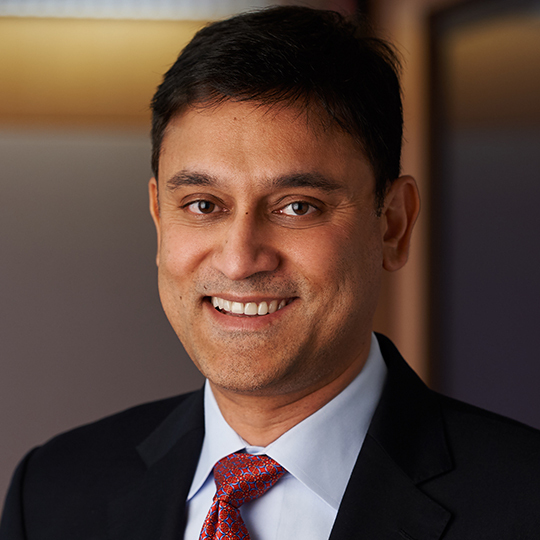 Prior to that, Anish served in various leadership positions at Novartis, including Vice President and Head of Human Resources for Pharmaceuticals for the U.S. and Europe and Head of Corporate Talent Management. Earlier in his career, he worked at Microsoft as General Manager of Human Resources and at PepsiCo in markets including the U.S., India, China, and Vietnam.